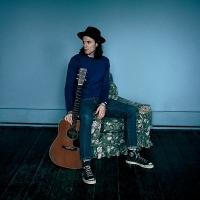 James Bay is a multi award-winning English singer-songwriter from Hitchin. He released his debut multi-platinum selling single, "Let It Go" in 2014, which he followed with the multi platinum-selling: "Hold Back the River", which was nominated for a 2016 Grammy. Both singles were taken from 2015 debut album, Grammy-nominated, "Chaos and the Calm". Follow-up album, "Electric Light" was released in 2018. He was shortlisted for the BBC Sound of 2015 award and won the Critics' Choice award at the 2015 Brit Awards, the "Best New Act" in the 2015 Q Awards. In 2016 he won a Brit Award in the "British Male Solo Artist" category, plus Ivor Novello and Q awards the same year.